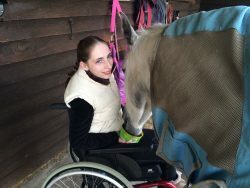 We are thrilled to announce a new Ambassador to Team Horslyx Para-Dressage rider Rowan Crosby. We caught up with Rowan who told us a little about herself and her aims for the season. 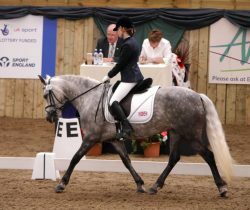 “At the moment I am currently looking for a new horse because Tiger is only 14hh and I need a horse that is minimum 14’2 to apply for World Class Programme. It takes quite a bit of time to train up a new horse because they have to get used to all the tack and training adaptions.